A family group sits in the sunshine at the busy Guildford open air pool. 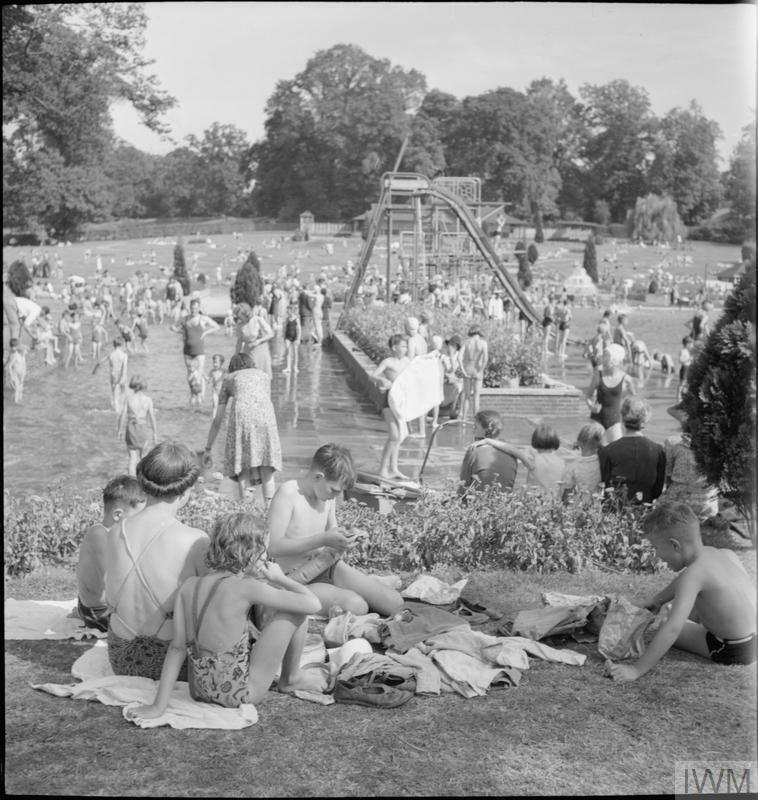 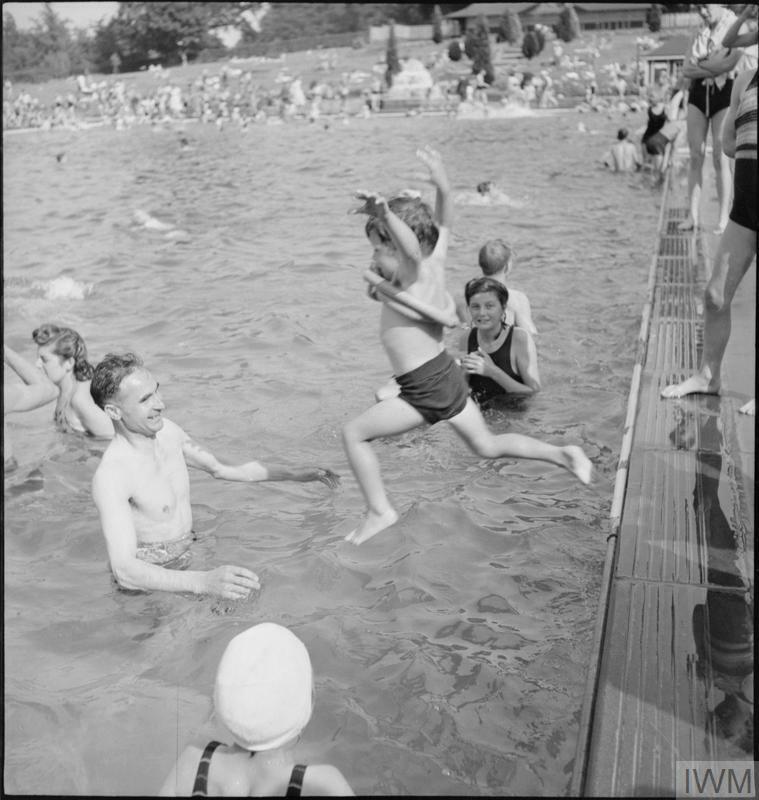 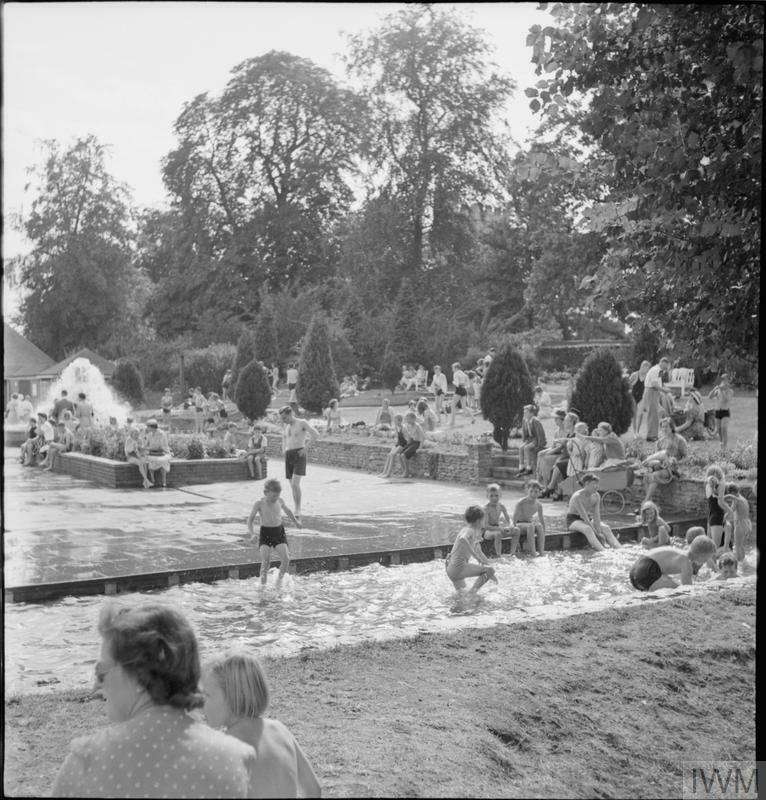 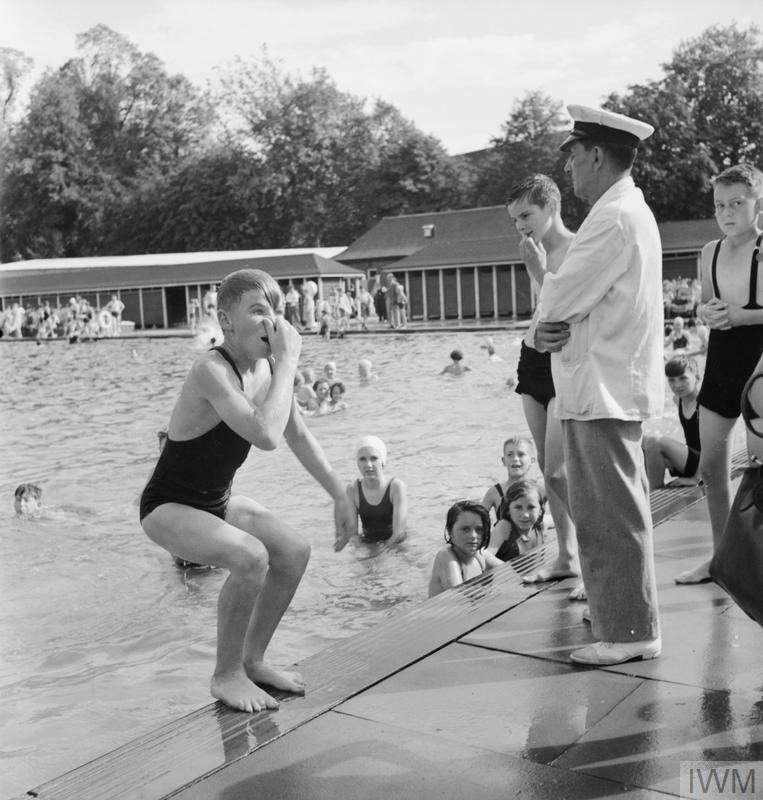 Behind them, on the left of the photograph, parents help their young children in the paddling pool, whilst to the right of the photograph, older children and adults enjoy a swim in the swimming pool. A slide can be seen in the centre of the photograph, the end dipping into the water of the swimming pool.